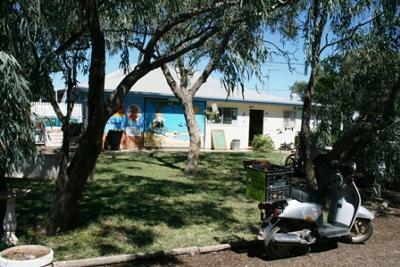 This is a great caravan park with friendly owners in Winton in the outback Queensland. There are nowadays a few newer parks in town, but this one is an old gem that has been here for ages. They always put on great entertainment and a cooked dinner. Quite a new thing is they now have a swimming pool. Stayed here many times over the years, always happy to come back.